Numbers get a bad rap for being unsexy. But in fact, the vast amounts of data we now have offer incredible insight into how our world is evolving. I collaborated with data scientists and illustrators to create these informative and beautiful pieces that tell the compelling stories behind the numbers. Every July, the world has bicycles on the brain when the Tour de France rolls around. To coincide with this year’s race, we wrote a timely story on the booming popularity of Airbnb’s cycling Experiences, accompanied by a series of animated infographics. From top to bottom: (1) three of the most popular countries for cycling Experiences are the US, France, and Spain (2) the three most booked cycling Experiences are in Mexico City, Osaka, and Paris (3) 30,000 Airbnb guests have participated in cycling Experiences to date (4) there are 450 cycling Experiences available on the platform and (5) France tops the list of most popular countries for bicyclists, with 4 of the top 10 most booked cycling Experiences. In a two-part editorial series for Hewlett Packard Enterprises, we explored the skyrocketing importance of data and how it’s changing the landscape of our economy and our day-to-day lives. Today, a company’s biggest asset may not be a tangible thing – it might instead be that amorphous cloud of information we call data. But how do you put a price on it? 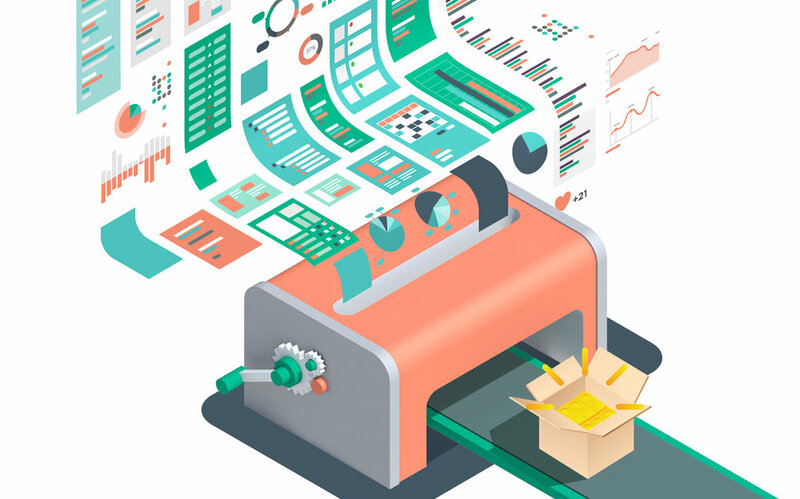 For Part 1 of the series, “Data is the New Currency,” we interviewed an expert in data valuation to find out and visualized his process in three simple steps. In Part 2, “The Smart City is the Data Economy Made Manifest,” we explored a vision of our future cities that will run on the data generated by its residents, automating everything from traffic alerts to more efficient energy usage. 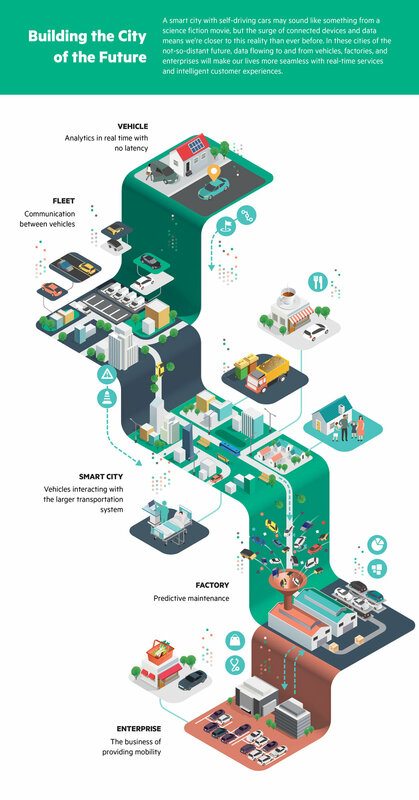 The smart people at HPE Labs drew up a complex diagram outlining all the ways connected devices could communicate amongst each other in a smart city, and we simplified it into a more elegant and digestible form. If you guessed that Gangneung, South Korea would be the top trending destination for 2018, you're a clairvoyant genius and could probably make a fortune on Wall Street. For the non-geniuses among us, we created an infographic projecting Airbnb's most popular destinations, listings, and Experiences based on our booking data. On August 21st, 2017, a total solar eclipse passed over the United States for the first time in 40 years, cutting all the way from Oregon to South Carolina. Along that path, Airbnb bookings spiked dramatically, with some guests reserving their homes as far back as 2015. 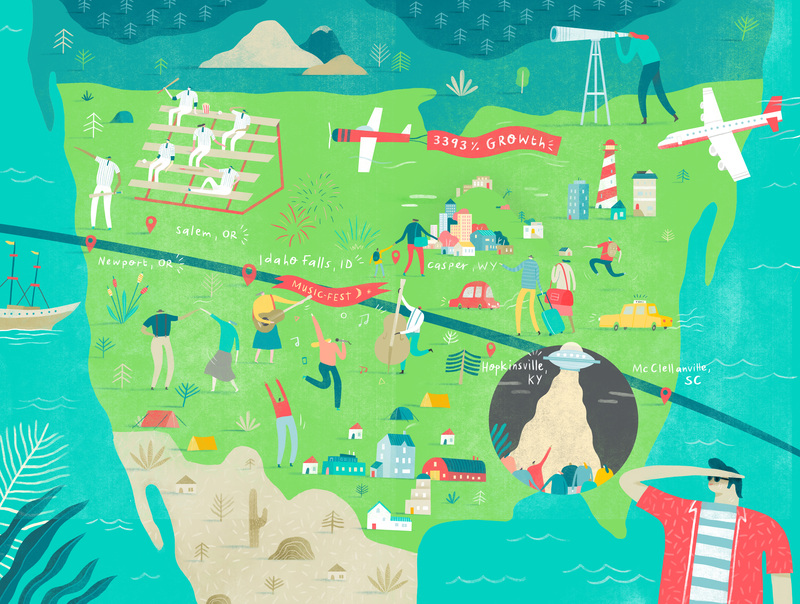 We wrote a story about solar eclipse enthusiasts staying in Airbnbs along the eclipse path and created an interactive map and illustrations to bring it to life. Hover over the interactive map below to explore more about the eclipse. Newport, OR will be the first to see the eclipse on land, with totality beginning at 10:15 AM. A minor league baseball team in Salem, OR will experience the first-ever "eclipse delay." Idaho Falls, ID is hosting a four-day country music festival featuring 25 bands. Earliest bookings for eclipse night on the path of the eclipse were in 2015. Casper, WY saw the biggest spike in Airbnb listings, with 3393% growth since 2016. Hopkinsville, KY will see one of the longest totality periods (2:40), and is expecting 20,000 visitors. Airbnb guests are traveling from 26 countries outside of the US. The eclipse will be last visible in McClellanville, SC before passing into the Atlantic Ocean at approximately 2:49 PM local time.